In her first exhibition in Miami, New York based Sarah Oppenheimer presents “S-281913,” a site specific installation commissioned by the Perez Art Museum Miami. 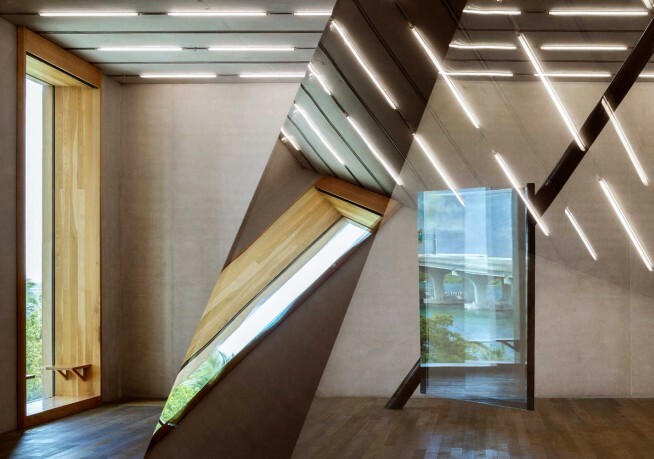 Bridging art, cognitive science, and philosophy, the Yale educated Oppenheimer creates striking perceptual effects through modifications to gallery environments using both additional and pre-existing architectural elements. For her newest work at PAMM, Oppenheimer used familiar materials such as glass and metal mechanisms to accentuate the Herzog and deMeuron designed gallery and its setting encompassing the Biscayne Bay. 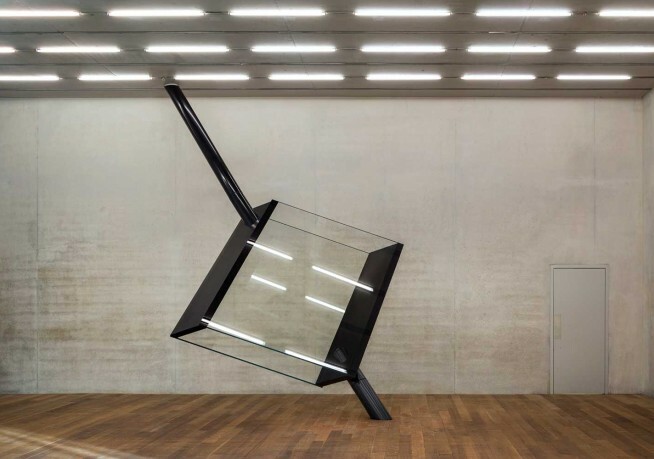 Comprised of two glass parallelograms dramatically suspended from the ceiling and penetrating the floor beneath, Oppenheimer's work in itself activates the mostly barren gallery as it reflects and refracts its surroundings elements. From certain angles, the rotating glass pieces that comprise the work appear transparent, redoubling a sense of emptiness in the gallery. 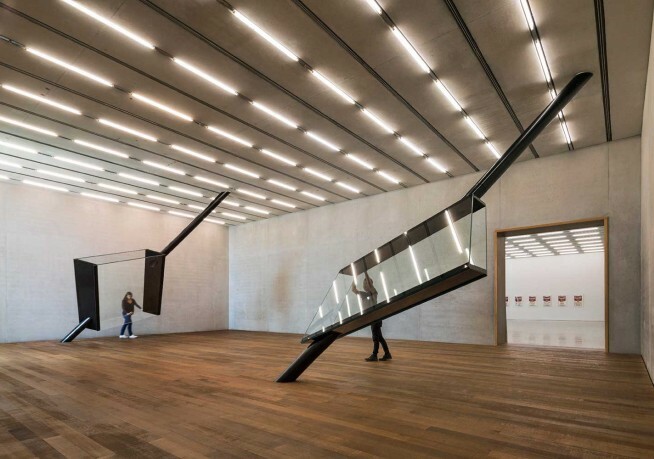 From other vantage points, they present an overload of visual information in their reflections, optically reorienting the gallery’s ceiling or floor from a horizontal plane to a vertical one; the result emphasizes aspects of PAMM’s architectural infrastructure that often go unnoticed, particularly its unique lighting system. Furthermore, Oppenheimer invites her audience to touch the pieces, rotating them on their axis and observing their changing reflections. PAMM explains; “Oppenheimer’s interventions heighten our awareness of the complex mental and bodily processes at work in the ways we understand and experience the spaces we inhabit. At a moment in history when this experience is increasingly mediated through the blue light that emanates from our phones, computers, and TV screens, her work reminds us that even our most fundamental perceptions require constant, critical questioning.” As Oppenheimer's pieces continue to travel the world, being exhibited internationally, her commision for Miami “S-281913”, can be considered her most exciting work to date and an honor for Miami.